According to reporting from the Daily Business Review, several commercial tenants have filed a class action lawsuit against Miami Mall of the Americas. The lawsuit alleges that the portion of the Fountainbleau, FL mall that contains mostly smaller businesses is being neglected so that the landlord can focus all its resources on keeping the big tenants — Costco and Home Depot — happy. In this Miami landlord tenant dispute, the plaintiffs are alleging that the conditions on the ‘bad’ side of the mall have become ‘unlivable’. The commercial tenants point to a wide range of specific issues, including lack of air conditioning, poor interior and exterior maintenance, and problems with the bathrooms. The plaintiffs are seeking monetary damages and equitable relief. For its part, the defendant (commercial landlord) counters that the lawsuit was filed for a baseless reason. While the landlord offered had no direct comment on any specific allegation, it noted that it believed the lawsuit was filed in retaliation by a tenant that was behind on rent and facing eviction. Under Florida law, landlords owe certain basic obligations to residential tenants. For example, landlords have a duty to provide habitable conditions, a duty to conduct regulator maintenance, and a duty to repair property issues in a reasonably timely manner. However, with commercial leases, the state of Florida does not put nearly as many legal responsibilities on landlords. In a commercial setting, it is largely up to the parties to agree to a lease that is fair to both sides. What requirements does a commercial landlord have to maintain the premises around the tenant’s business? The lease should answer that question. If a commercial landlord in South Florida breaches the terms of a lease agreement, for any reason, the tenant may be entitled to damages. In some cases, these breaches could be a justification for withholding rent or terminating the lease prior to the stated end date. In other cases, the tenant may actually be entitled to compensation for financial damages, potentially even including recovery for lost profits. Ultimately, landlord-tenant disputes are fact driven cases. A comprehensive review of the terms of the lease and the conditions on the property will be required. If you are a commercial landlord and you are facing a lawsuit from a tenant, it is crucial that you seek skilled legal representation. Even if you believe that claim is wholly illegitimate, you must be ready to present a strong legal defense to protect your rights. At Pike & Lustig, LLP, our Florida landlord-tenant dispute attorneys have extensive experience representing commercial landlords. If you or your company is facing a lawsuit from one or more commercial tenants, you need to take immediate action. 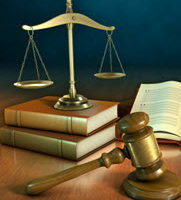 To arrange a fully private review of your case, please contact our law firm today. With office locations in Miami, West Palm Beach, and Palm Beach Gardens, we represent commercial landlords throughout South Florida.